Here is a list of downriver Ice arenas that run public open skating and/or open figures. audio/visual solutions from complete show music to cutting individual music CD's for skaters. 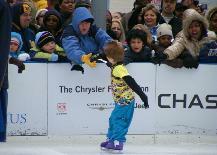 The figure skating event will be at Campus Martius Park on Friday at 8pm. Please arrive by 7pm. We have limited time slot. Open Skating before and after our time slot.